Dr Emma has been part of the practice since 1995. She and Dr Rod own and run the practice since 2006. She is married to Dr Rod and they have 2 teenage girls. Dr Emma holds an FRACGP and is Vocationally Registered. She is an accredited GP trainer. Dr Emma only performs Skin Cancer Medicine and has done a great deal of post-graduate studies to further her skill in this area. Outside of this, she is busy running the business as the business manager. Dr Rod joined our team in 1997 and is married to Dr Emma. He and Dr Emma own and run the practice since 2006. Dr Rod enjoys all facets of General Practice but has a particular interest in Skin Cancer Medicine, Surgical Procedures (including Vasectomy), Cosmetic Medicine and Chronic Disease Management. Dr Rod holds an FRACGP and is Vocationally Registered. He is a Quality Assurance Examiner for the RACGP and is a registered GP Trainer. He is a Board Member of the Queensland RACGP. He assists a Spine Surgeon twice weekly outside of his practice at Jimboomba. His interests include Scuba Diving, Underwater Photography, keeping fit, and driving and maintaining his 20 yo Porsche 911. Dr Sunanda joined our team in May 2005. She previously lived and worked in New Zealand and was born in India. She is married with 2 grown boys. Interests include reading and music. Sunanda holds an FRACGP and is Vocationally Registered. 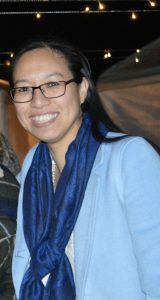 She was honoured with an award for achieving the Highest Result in Queensland for the Practice Eligible Pathway for her Fellowship. Sunanda is interested in all facets of General Practice and has a loyal following. We appreciate her ever cheerful smile and ‘motherly’ care. 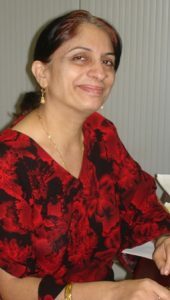 Dr Maria joined the team in October 2008. She graduated in Fiji in the year 2000 and is now an Australian Citizen. She holds an FRACGP and is Vocationally Registered. 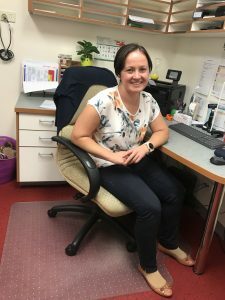 Dr Maria is an Examiner for the RACGP and regularly teach Medical Student. Dr Maria has particular interests in Family Medicine, Children’s health and Women’s Health. She has 4 children and loves dancing and music. 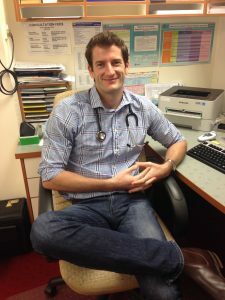 Dr Matt joined our team in 2015 as a senior GP Registrar. He has completed his Fellowship for the Royal Australian College of General Practitioners and shares his work as a Visiting Medical Officer at Beaudesert Hospital. Dr Matt is locally born and bred. He lives locally and continues to work part-time at Beaudesert Hospital. Some years ago, Dr Matt spent time in our practice as a Medical Student. We are very excited that he has returned as a member of the team! Dr Matt enjoys keeping fit and playing Soccer. Dr Tim joined us in 2015. We are fortunate that he plans to stay. Dr Tim completed a degree in Pharmacy and Medicine at the University of Queensland. Once graduated he began training in multiple fields of medicine across south east Queensland. After completing residency he worked as a Medical Registrar in subspecialty areas and helped train students and junior doctors at QE 2 Hospital. Dr Tim developed special interests in Skin Cancer Medicine, Diabetes Care, and Refugee Health but still enjoys all aspects of medicine. Dr Tim has a young family of his own and enjoys engaging with other parents on their journey! rotating between different specialties but spent the last 12 months in Emergency Medicine. She is now pursuing her interest in General Practice and enjoys all aspects of medicine. Outside of work hours, Linda enjoys spending time with family and friends, tending to her succulent garden and playing touch football. She can also speak fluent Vietnamese. Dr Angie is back! 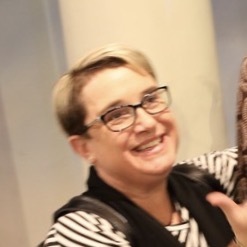 After leaving the practice for six months to complete her GP Registrar training, Dr Angie has now permanently returned to JJFP. 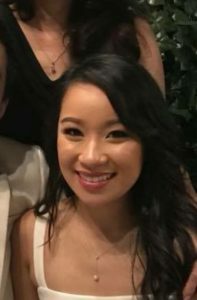 Dr Angie is a Griffith University Graduate who recently received her General Practice Fellowship with the RACGP. Prior to studying medicine, Angie worked as a personal trainer and in the fitness industry for 7 years. Some of Angie’s interests include children’s and women’s health but she enjoys all aspects of medicine. Angie spends her spare time with friends doing outdoor activities such as camping, hiking, running and cycling. She is looking forward to working in the local community. 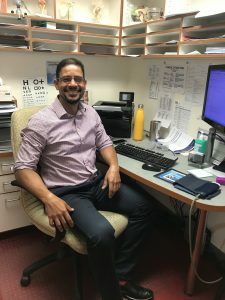 Dr Jose joined JJFP as a GP Registrar in January 2019. Dr Jose graduated medicine in Colombia in 1997 and also completed a Diploma in Hospital Management. He then moved to the UK in 2003 where he practiced hospital based medicine, specializing in geriatrics. During this time Dr Jose completed his membership with The Royal College of Physicians. In 2016, Dr Jose then moved to Australia. 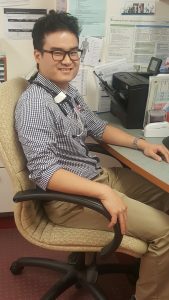 Since arriving, he has worked in all areas of medicine with particular interest in family medicine, paediatrics, aged care and palliative care. Dr Jose is passionate about helping people maintain their long term health and well-being. He can also speak fluent Spanish and basic Italian and Portuguese. *Practice Disclaimer: The Practice and / or authorized representatives provides the above-mentioned treating doctors with Practice Management Services in accordance with their instructions. Your treating doctor is responsible to you for all conduct.